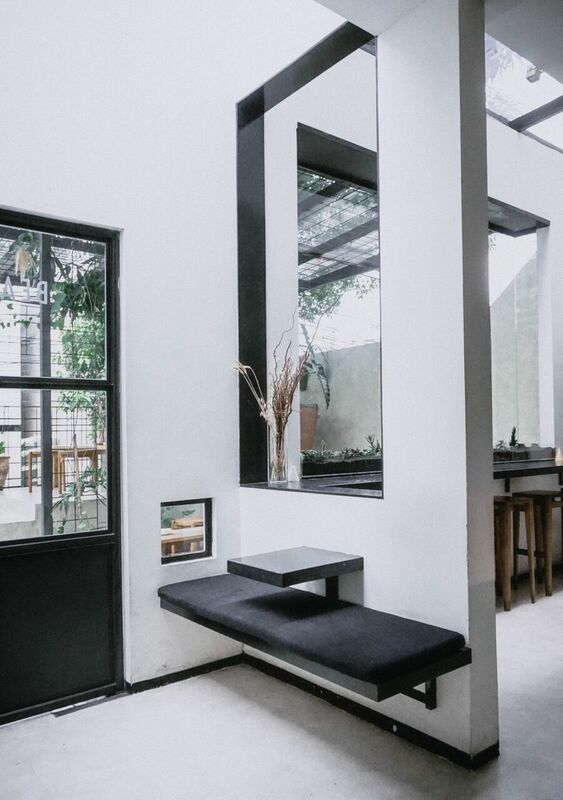 Top 10 Coffee Shops in Jakarta — Avec Noir. Coffee has always been a huge part of Indonesian culture-- after all, it's the world's fourth-largest coffee producer (right behind Brazil, Colombia, and Vietnam.) With over 17,000 islands (yes, it's true, the exact number is unknown -- try Googling it) the country is able to produce rich variety of coffee with different notes ranging from the medium-bodied, chocolate-y notes of Toraja blends to the sweet, citrus-y, and nutty flavors of Bali beans. The influence of coffee is everywhere. You can't walk a few feet in Jakarta (not like anyone really walks much there anyway!) without seeing a sign for a café, with new ones popping up every day. The coffee shops I rank below are more contemporary with Western influences (you'll find more latté art than traditional kopi tarik) but still serve fantastic java. I originally had really high hopes for Lucky Cat but was unfortunately only ever impressed by the decor. They get a lot of points for the live trees growing throughout the center of the coffee shop but it unfortunately isn't enough to make up for the lackluster food. Come here for okay-ish coffee and cute decor. If you're after a trendy, hipster vibe (hello, avocado toast) look no further than ST. ALi in Kuningan. The café first opened in Melbourne in 2005 after recognizing a gaping hole in the specialty coffee market. Yes, I know that Anomali has other locations but I'm quite partial to the coffee, food, and general vibes at the Senopati location. Everything feels just right. I'm never disappointed by the coffee here and always feel relaxed in their cozy establishment. Minimal decor, great light, and chill music can all be found at Woodpecker. The coffee choices are equally as minimalist -- you won't find salted caramel-drizzled frappés or anything of the sort here. There is a young, cool vibe here, which can be attributed to a well-designed interior that lends itself to meetups, coffee dates, and "hangs". Trafique gets bumped up the list for their fantastic coffee and instagram-friendly branding and minimalist, monochromatic interior, though I've never been a fan of the service or food. Don't leave without the requisite "But first, coffee" 'gram. What you'll find at Six Ounces Coffee is great service, ambiance, food, and of course coffee. Try the Salted Caramel Affogato-- you'll thank me! It might also be known as the Sea Salt Affogato. Either way, you can't go wrong. Delicious coffee and a mid-centry-meets-Scandinavian vibe is what you'll find at Crematology in Senopati. You'll find most of the decor to be made of organic materials -- wood, horn, stone. The interior is cooler and lighting slightly dimmed for a nice little escape from the busy streets. While the food here isn't spectacular, the coffee is (without a doubt) on point. The staff and overall service here is delightful and I always have a great experience when I go. 1/15 (or One Fifteenth) Coffee is hands-down one of my favorite coffee shops in all of Jakarta. It doesn't hurt that the shop is in Gandaria, which is very close to where I call home. I am always incredibly pleased with every single cup of coffee I have here. The food is great (but not fantastic, or anything to write home about) but let's be honest, we're all here for the coffee. The shop also gets great light in the afternoons (though certain seats get a little toasty in the direct sunlight) and the plant-filled interior always makes me feel a little more chipper when I walk in. Owner and pastry chef extraordinaire, Talita Setyadi, opened BEAU in 2014 hoping to bring her Le Cordon Bleu pedigree to the surge in popularity of third-wave Jakarta coffee shops. The result is incredible pastries (you can practically taste Paris in every bite), excellent coffee, and ambiance that rivals both. 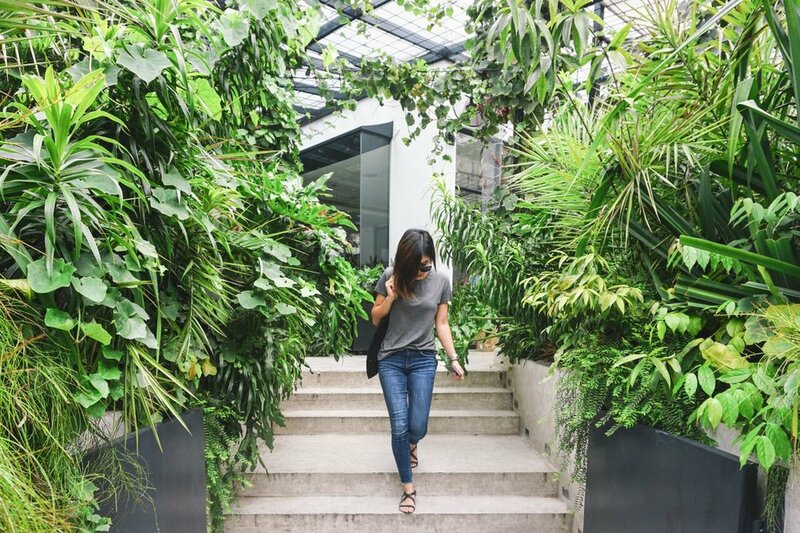 Sit indoors and experience the neutral, minimal decor (and air conditioning), or enjoy the outdoors, surrounded by greenery that makes you feel completely isolated from the chaotic streets of Jakarta (even though Jl. Cikajang is mere meters away). I myself favor their sourdough bread, which I found to be very difficult to come by in this city. And for those with dietary restrictions, Talita herself is vegetarian, ensuring there are plenty of meat and dairy-free option on the menu. They even have a wheat-free seed brick loaf for those avoiding gluten. Tried any of the above? Going to Jakarta? Let me know in the comments!